I want everyone to see how cool science can be. I want them to see how beautiful a cell can be if you let it. When I tell people that I work with brains, half the time they get excited and ask me more. The other half of the time, however, they get a look of discomfort on their face and think that what I do is “icky.” So I went on a search for ways to show people that what I do and what I look at is actually quite beautiful. I took a course in college on scanning electron microscopy (SEM), something I highly suggest looking up, because if there is anything that can make tiny things look beautiful, it’s SEM. I decided to take photos of the brain cells and spinal cord of a rat (that’s right, a rat). My goal with these leggings is to both inspire people to add a little science into their life and wardrobe as well as ignite curiosity surrounding the items in the photos. I want people to look up what the heck a neurite is, what the hippocampus is for, and what is so special about cerebellar granule neurons. 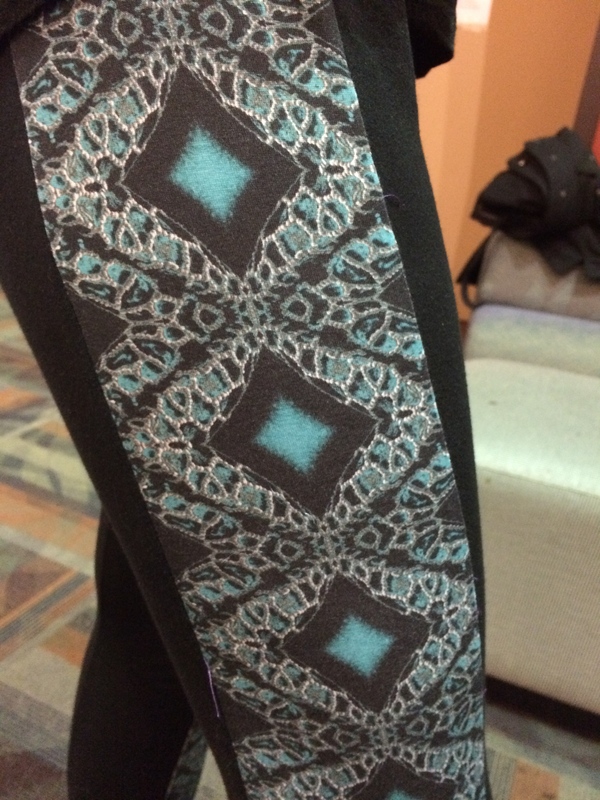 If you need a little bit of science in your life, you can find Plaidypus Looking Glass Leggings in the “Leggings” section of our Etsy store, or at Wadoo Gifts in Fort Collins, CO. And remember, science is cool. Even rat brains. We’ve done art fairs and festivals in Fort Collins and in Colorado Springs, but somehow we’ve managed to completely skip over Denver. Well no more! 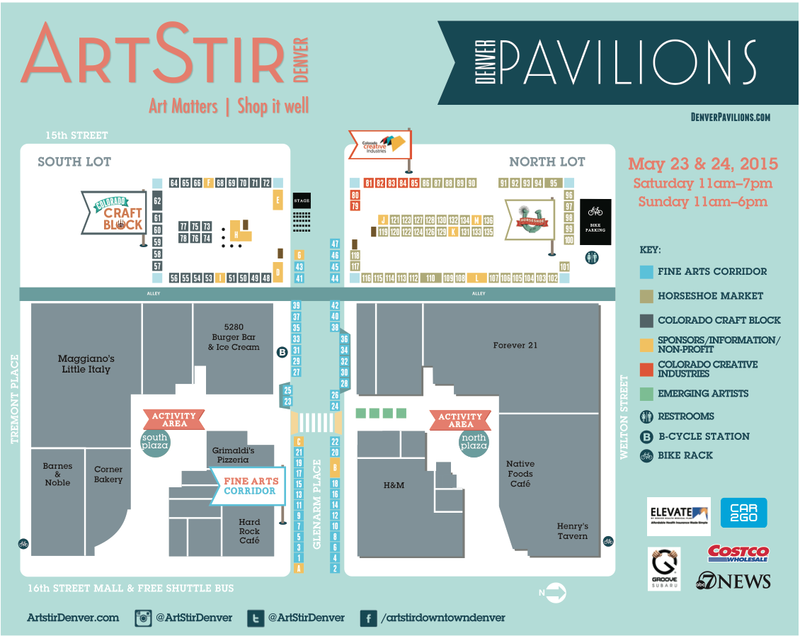 On May 23 and 24 this year (memorial day weekend and also THIS weekend), Plaidypus will be participating in ArtStir, a Denver art festival located at the Denver Pavilions. It was voted best new festival in 2014, and features 100% Colorado artists and designers, so I thought it would be a good fit for us. ‘What will Plaidypus be selling at this fair?’ you may ask. Well, let me tell you. Plaidypus is pleased to announce that we will be debuting our soon-to-be famous Leggings line, which incorporates scanning electron microscope images of brain cells or lily pollen (they’re basically wearable science). Along with these, there will be our t-shirt skirts, which until now have only been sold at Wadoo in downtown Fort Collins, as well as our beloved t-shirt headbands and our hair clips and pins made from felted sweaters. So get excited, people! I’ll be there for two whole days, rain or shine, with old favorites and shiny new products for you guys to choose from. Also, in case you needed more reason to come by, leggings and skirts will be sold at a discount price at the fair (because I rounded down to the nearest multiple of ten so I don’t have to bring as many $1 bills). We take cash, we take credit, and if we think you look like an upstanding citizen we will even take your personal check. Plaidypus will be located in this funny little area dedicated to “emerging artists” (which you can see in the below map as the bright green squares). I did this partly because the booth price was significantly lower for students like myself, and partly because they are going to supply me with a tent and a table, meaning I have less to drag around with me and less set up to struggle with. I have no idea who I’ll be sharing my booth tent with (because they weren’t just going to give me my own tent for that price) but I bet they’re cool too, so come hang out and buy things from us. I will be a little off the beaten path. But fear not, because I will still be highly accessible and near activity areas of the festival! I don’t know what activities there will be, but they will be near me according to the map. Check out the ArtStir website for more info on the show itself, and look for us on their “Artists” page (hint: Plaidypus is represented by a photo of our fabulous headbands). Come say hi. Tell your friends. Buy things, maybe? 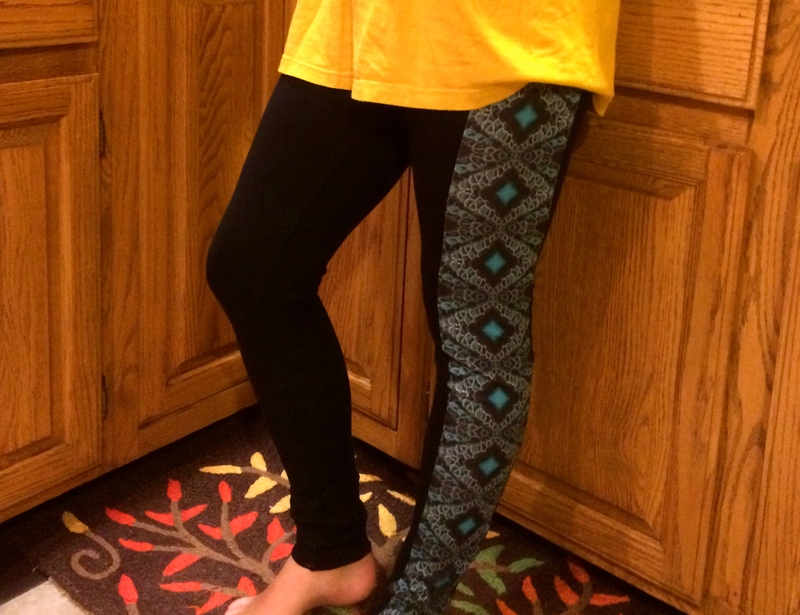 I’m really excited to introduce our new line of leggings! They’re still being tweaked for sizing, but will be up on my Etsy shop and in Wadoo by May. 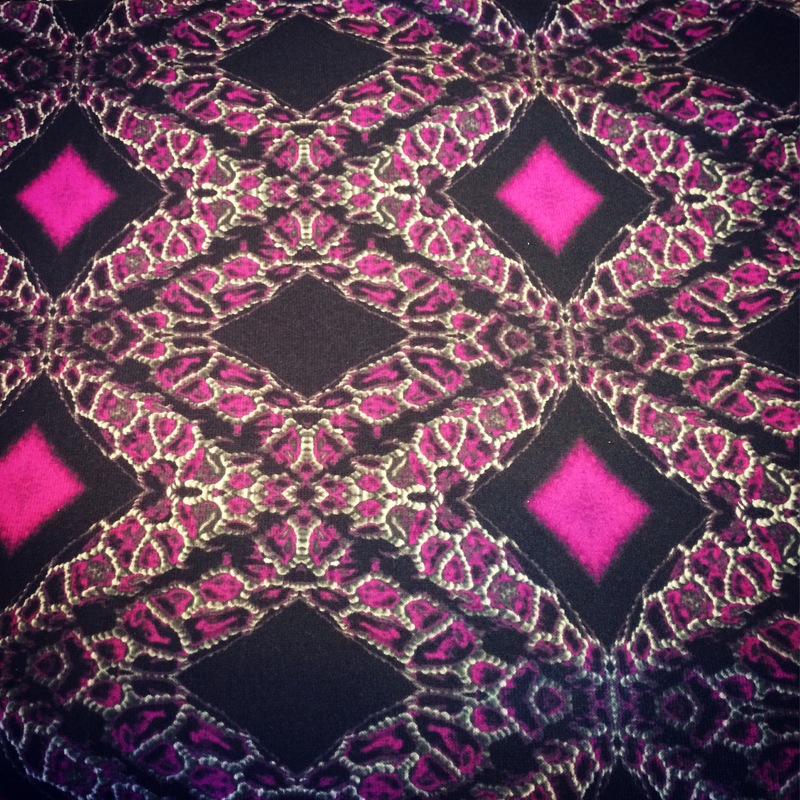 ‘So what’s so exciting about these leggings?’ you may ask. I’m glad you asked. You see, there is a panel of interesting fabric running down the side of the tights. 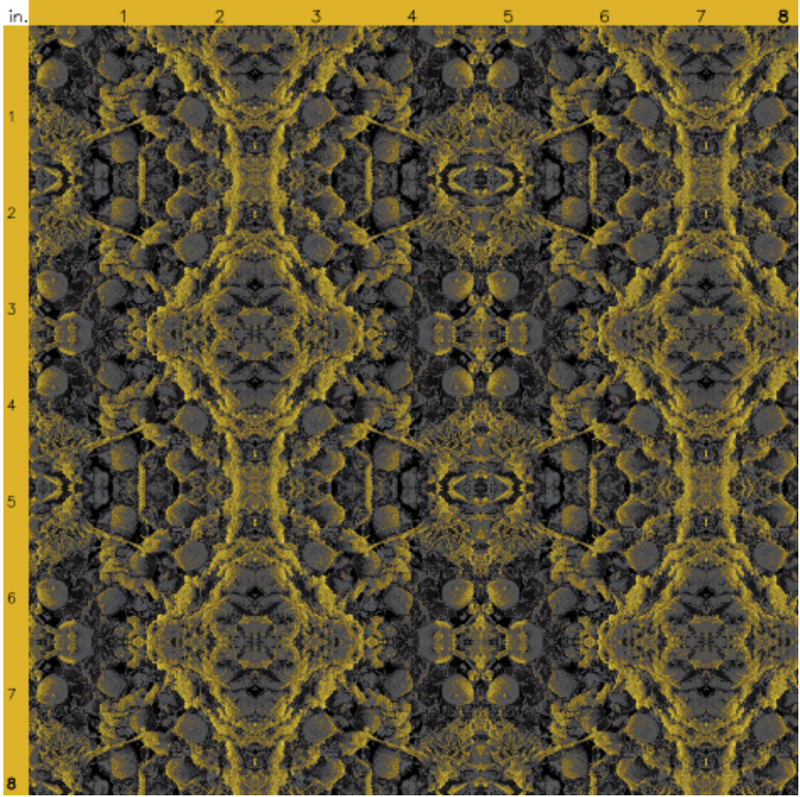 And this fabric was designed by yours truly based on scanning electron microscope images*. 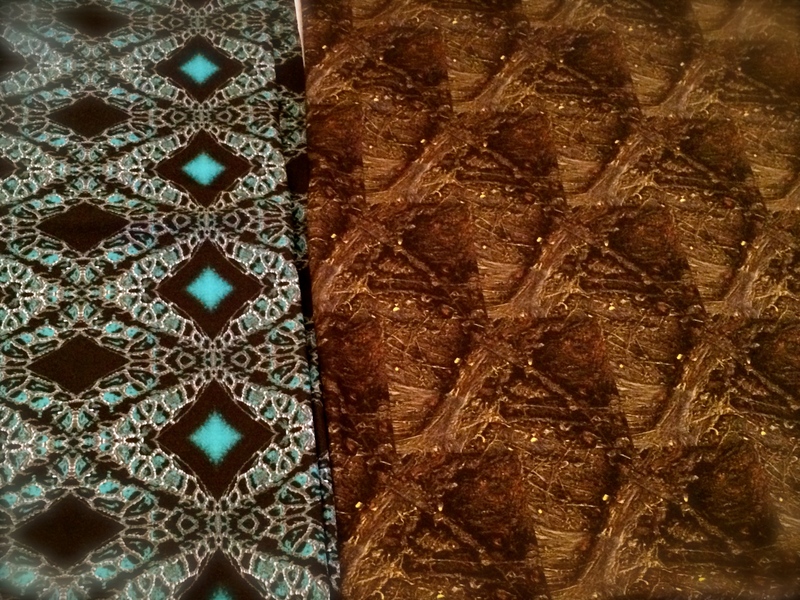 The images I have printed on fabric so far are of lily pollen and a rat’s spinal cord, but expect to be getting in more designs soon of rat cerebellar neurons (used in movement) and rat hippocampal neurons (the hippocampus is a part of the brain’s memory system). The panel down the side of this prototype is a lily pollen image that has been mirrored to create the diamond pattern and then falsely colored. Keep your eyes peeled for more information on these guys. I’m going to try to finish prototypes this week and get a draft of packaging done so I can start making them for sale. *Scanning electron microscopy is really cool, and if you want to see some other images using this technology, I highly suggest doing a Google Image search of “scanning electron microscopy”. There are some especially pretty photos of snowflakes and bacteria. Now, I’m a firm believer in the classic chocolate chip cookie. But sometimes I want something a little different. But just a little different. 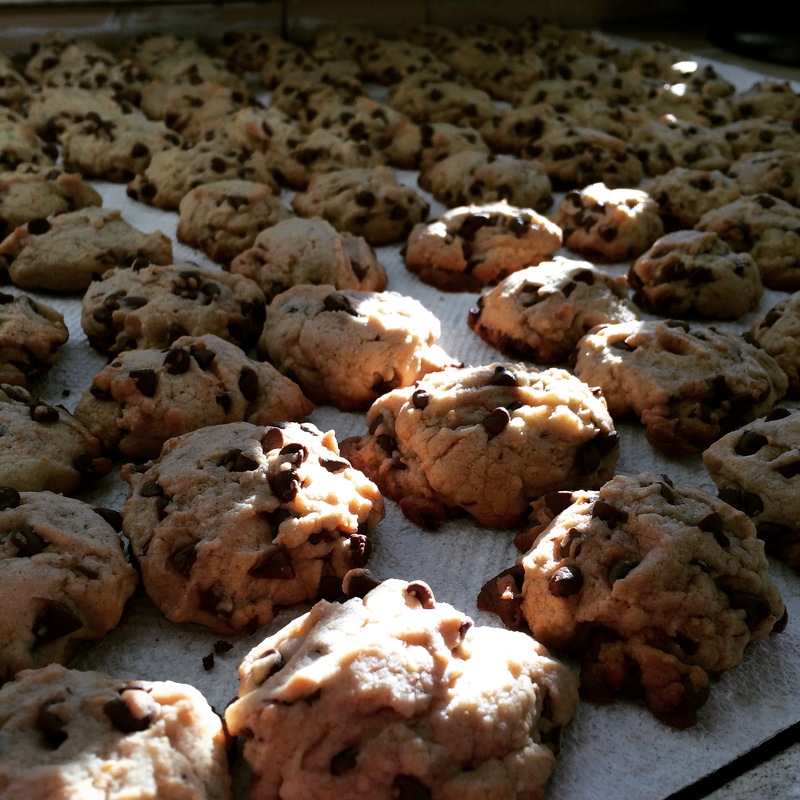 Lo and behold, I find a recipe for my classic chocolate chip cookies, but with ORANGE in them. Orange has always been one of my favorite things they put in chocolate bars, so I tried it out. 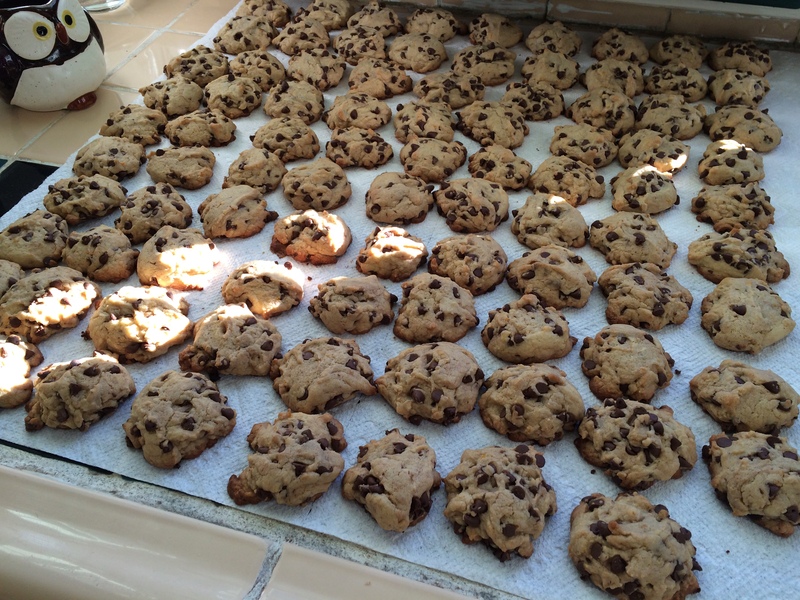 And then I had to make a second batch that same day because the first batch was almost gone already. In a separate bowl, combine flour, baking soda, baking powder and salt; add to wet ingredients. 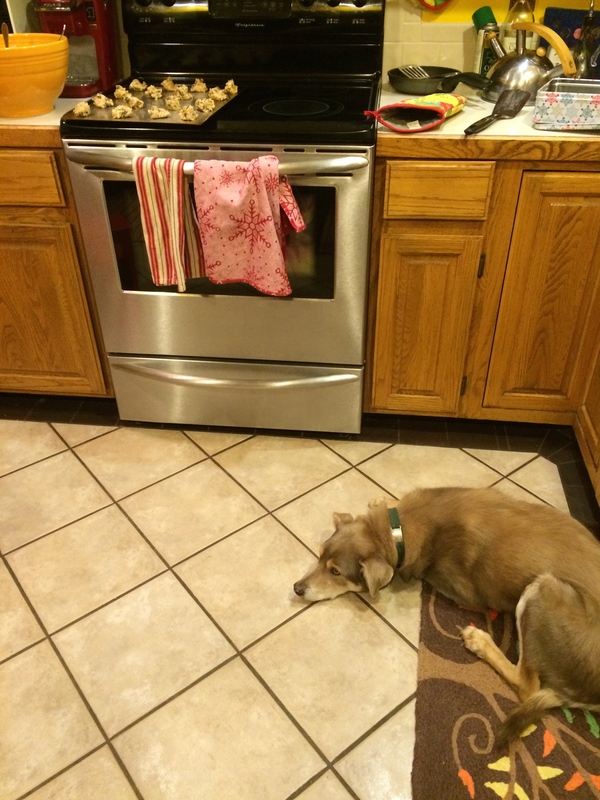 Bonus photo of my dog sitting patiently by the stove and hoping I will somehow drop the entire batch of cookies on the floor for him to clean up. 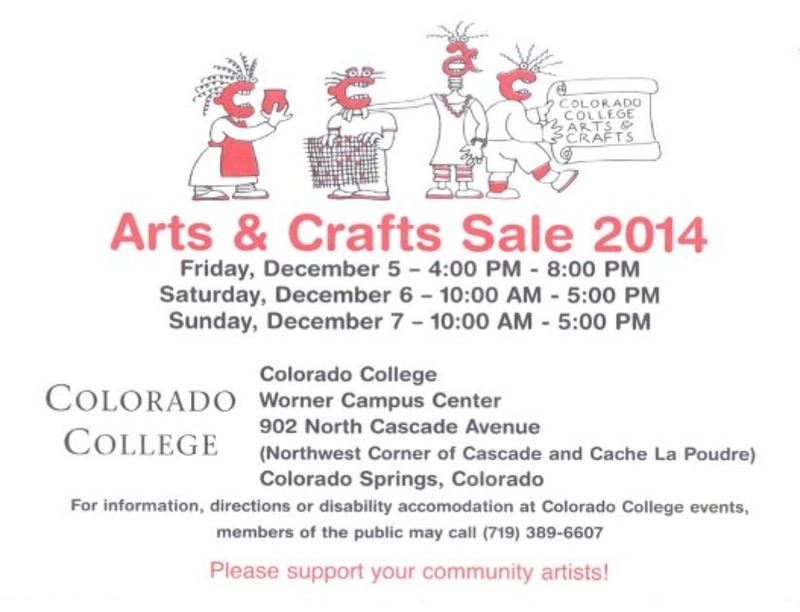 The Colorado College Arts and Crafts Fair is held every year on the first (or second?) weekend of December. It’s held at, you guessed it, Colorado College, which is a small, liberal arts college located in Colorado Springs, CO. And it is a fantastic show to participate in or go to. 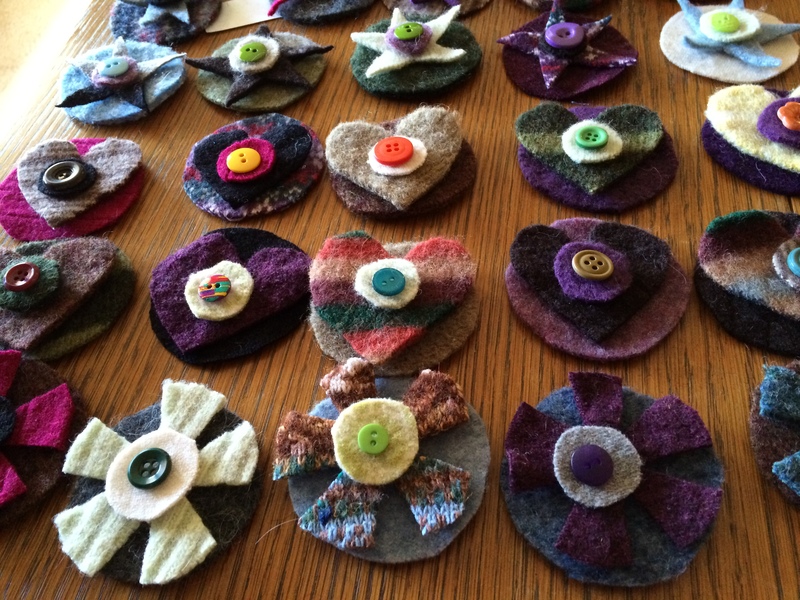 For the past four years Plaidypus has participated in the show, making trunkfuls of Fuzzy Fingerless Mittens, Coffee Cup Cozies, Headbands, Hair Clips and Pins, and sometimes even throwing in surprise Sweater Sleeve Scarves or bags made from neckties. It’s always been a fantastic show for us, and we always love participating. There are a number of reasons this is a great show. First of all, I’m a little biased because I graduated from Colorado College in May and so I just really like the people who put it on. (In case you were wondering, I graduated with a B.A. degree in psychology and a minor in performance design.) For three of the four years I was a student at CC, I participated in this fair, and this year as an alumnus I did the same. So I do have a sort of loyalty bias for this fair. But there’s more than just that to make this a great fair. There are thousands of customers who come through this fair every year. Thousands. 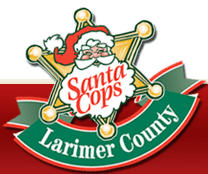 There are locals from the Springs, students at the college, people driving in from surrounding cities such as Denver or Boulder or Pueblo, and all those people are starting their holiday shopping. It’s a festive show to go to, whether you are selling or buying. Makes you feel like the holiday season has really begun and you can start your shopping and decorating and cookie-baking. If you are an artist in Colorado, this is the fair to participate in. Especially if you’re a student at the college. They give students a great deal on the table fee so that they can learn what it’s like to sell their own goods without the terror of a large fee hanging over their heads. And alumni get a discounted table fee, so the support from the school continues there. But even if you don’t go to CC nor have you ever gone there, the table fee is minimal compared to many other fairs. It’s three days of talking to artists or customers or both and finding your own gifts for family and friends (I found some particularly good items for my family this year) and seeing what other people can do. It’s a student center packed with inspiration and artists who are willing to help you out by giving you trade tips and sometimes free yarn (not kidding, I got two huge cones of undyed wool yarn from some very nice women this year so I could play with yarn dyeing techniques). So look out for it next year. You can find great gifts there and great people who make them. If you want to participate as an artist, I think applications are posted in September and due by October 1 for outside parties and alumni, so start snooping around then. It is juried, so make sure the photos you send in and the descriptions you write frame your products nicely. 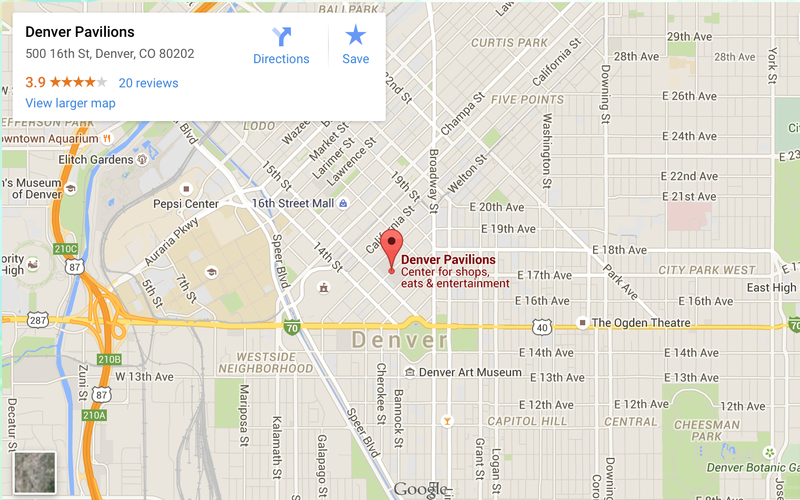 If you have questions about the fair, direct them to the Colorado College Arts and Crafts Program. The people there are super nice. And if you have questions about us, you can direct those to me in a comment below or on our Contact Me page. 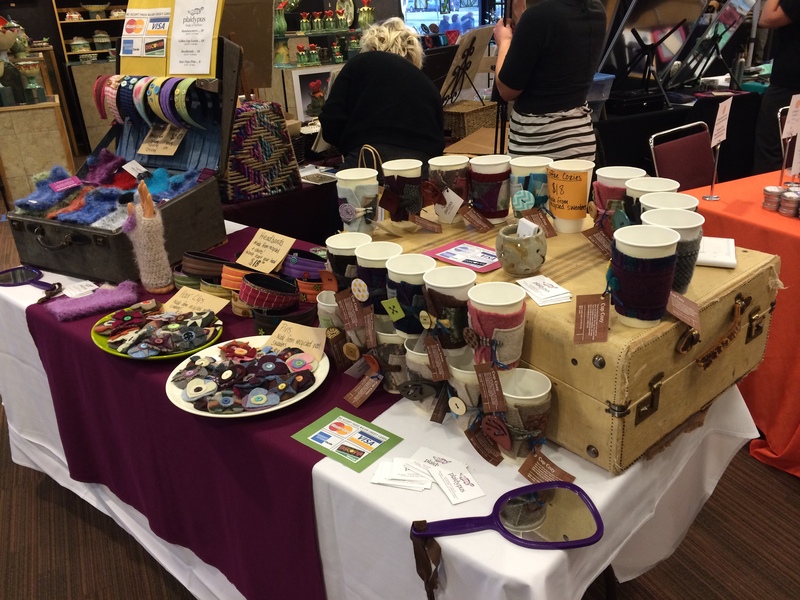 Whether you’re a new artist looking to get your business noticed or a veteran artist looking to expand your audience, craft fairs can work for you. Basically, you pay money for a booth or a table and set up shop for a day or a weekend to sell directly to customers, surrounded by other artists just like you. Plaidypus participates in around four gift shows every year: Fort Collins’ Sustainable Living Fair, Wadoo’s Annual Holiday Trunk Show, The Colorado College Arts and Craft Fair, and the Lux Center Holiday Gift Show. Some years it’s more, some years it’s less, depending on how much time there is to make product and how stressful college (about to be grad school!) is. I love the craft fair/gift show system for a number of reasons. First of all, people love knowing where their product is coming from, what it’s made of, etc. and you’re standing there able to answer all their questions. Second, you can charge retail price instead of wholesale price for your items (for more information on wholesale and retail pricing, check out “5 Easy Steps to Figure Out Wholesale and Retail Pricing“), which means more profit for your business! Finally, your name gets put in the program, on the website, and on your booth, so you’re getting some great publicity. So before you decide whether to do a craft fair, remember that sometimes you won’t make as much money as you would selling wholesale to a retail business (I’ll make a separate post about that, soon!). But also remember that it might still be worth it to get your business out there. And you may as well try at least one to see how it goes. There are many local fairs that you can find that are easy to get to, don’t cost very much (many of them know that they get beginning artists in) and aren’t super big. 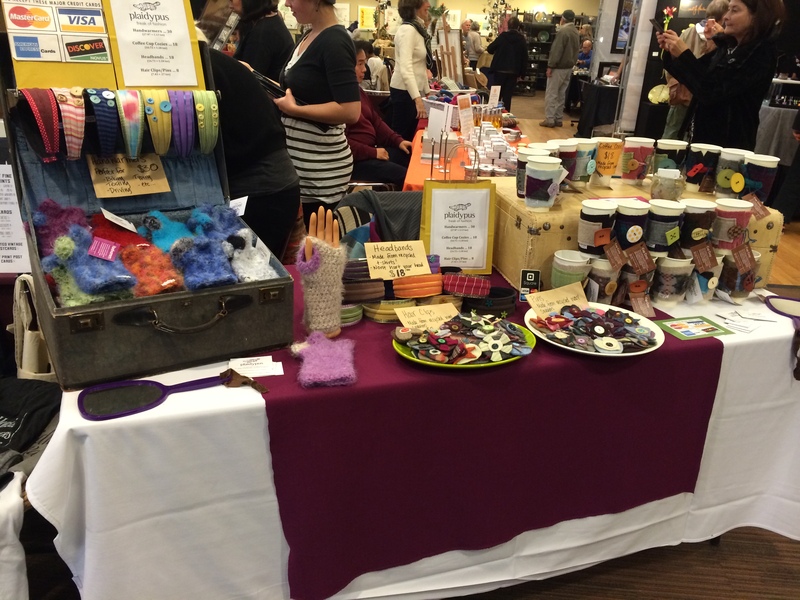 If you are going to apply for craft fairs, look them up months ahead of time. If you want to do a Christmas craft show, start looking in July. That’s right, some get filled up that quickly. And even if they don’t, it’s good to know ahead of time when everything is due and what you’re going to need to apply. It gives you time to get your materials together and plan your season. Finding craft fairs can be a little tricky. Most of the time I pretty much google “gift fairs” or “craft fairs” plus the area I’m looking to sell in. So, I live in Colorado, and I can look up “gift fairs Colorado” and sift through a lot of websites until I find one or two that I can apply for (even if they aren’t juried, you need to send in an application with descriptions and often photos of your product). 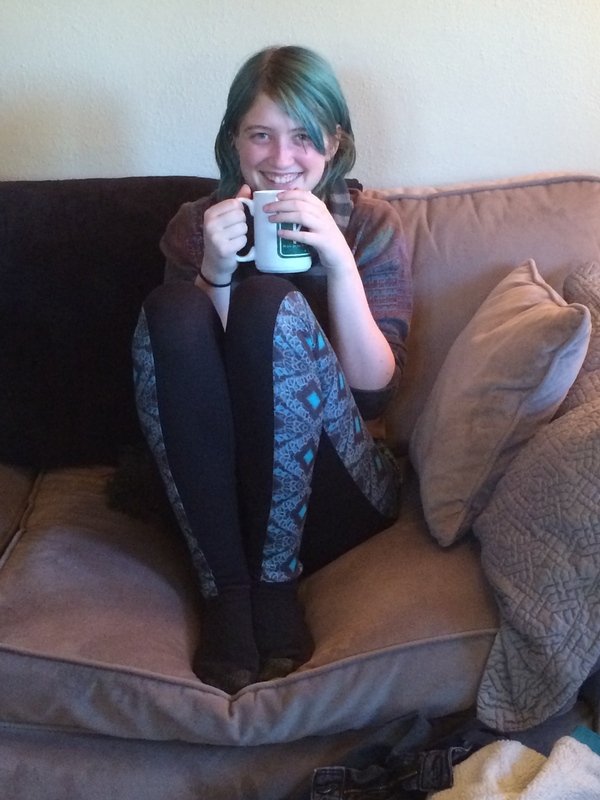 I might use this as my representative photo of a coffee cozy. It’s uncluttered and shows the item in use. If you have these things, you should be good to go for most shows. Some may ask you to send in physical copies, including CDs with photos on them, while other will allow everything to be online. Try to find the fair with the highest turnout rate of customers within your budget, because the more people who attend the event, the more potential people to sell to. And if you have any questions that I didn’t answer about craft fairs, comment and I’ll either edit this post or create a new one! I’ve heard snickerdoodle cookies can go one way or the other. I have only made them maybe twice (this will be the third time). And they went the way I wanted them to go. Either I am a secret kitchen goddess or this is one fine recipe. It’s probably the latter. I baked these to use up the leftover topping from my Spiced Apple Pie Cupcakes (which I highly recommend making) . I figured I should recycle more often in my life and this was the perfect chance to help save the world. Basically I just tossed a lot of cinnamon (maybe 2 teaspoons worth?) into the mix and it suddenly became a snickerdoodle topping. The real snickerdoodle topping is literally sugar and cinnamon, so a little extra flour and butter and spices wasn’t going to be so bad. And, spoilers, it was awesome. Here’s the actual cookie recipe, though. For the topping, if you aren’t, you know, using leftover apple spice cupcake topping plus cinnamon, I recommend about two tablespoons of sugar per two teaspoons of cinnamon (which is a 3:1 ratio in teaspoons, in case you need to keep adding more topping). But if you want it heavier or lighter on the cinnamon, it’s all up to you! 3. Combine flour baking powder, and salt in a separate bowl and then fold into the wet ingredients. 4. Chill dough (I learned from a friend that that’s how they become softer and puffier. Otherwise they flatten out more than you want them to. Unless you like flatter cookies, then don’t chill). The recipe asked me to chill the baking sheet, but I didn’t because there is no room in my fridge or freezer for such a thing. You can do this if you want for 10-15 minutes. 5. Roll out about 1 inch balls of dough and roll them around in the topping mixture, then put on you (possibly chilled) baking sheet. When you take them out remove them ASAP from the pan so they don’t keep cooking. That way they’re softer. Unless you like cookies crispy. Then do what you want. 7. Enjoy. 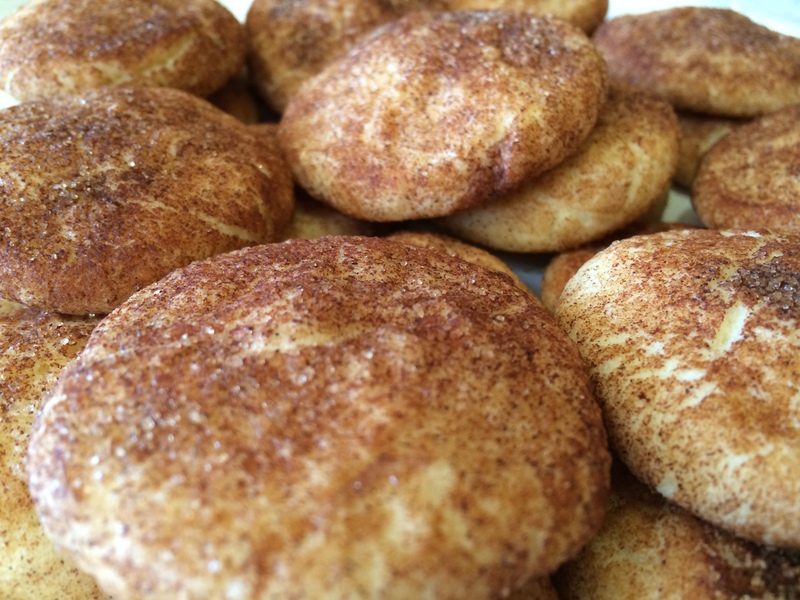 The first time I used this recipe, I had never made snickerdoodles and had only had them a handful of times, so I was pleased with the outcome. They were soft and puffy. I didn’t have photos from the first time I made these when they were so perfect (because we were too busy hrowing flour at each other and watching youtube videos), but here’s how they turned out from this batch (I think they still look pretty delicious). Plaidypus Spotted in the Coloradoan! 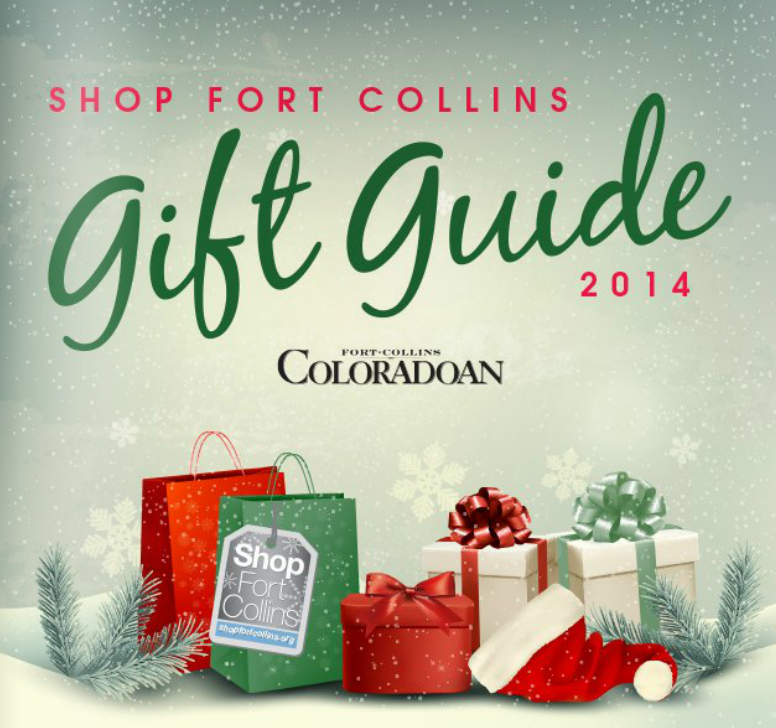 The Coloradoan (Fort Collins’ local newspaper) has a gift guide every year to give people ideas and inspiration for their holiday gifts. 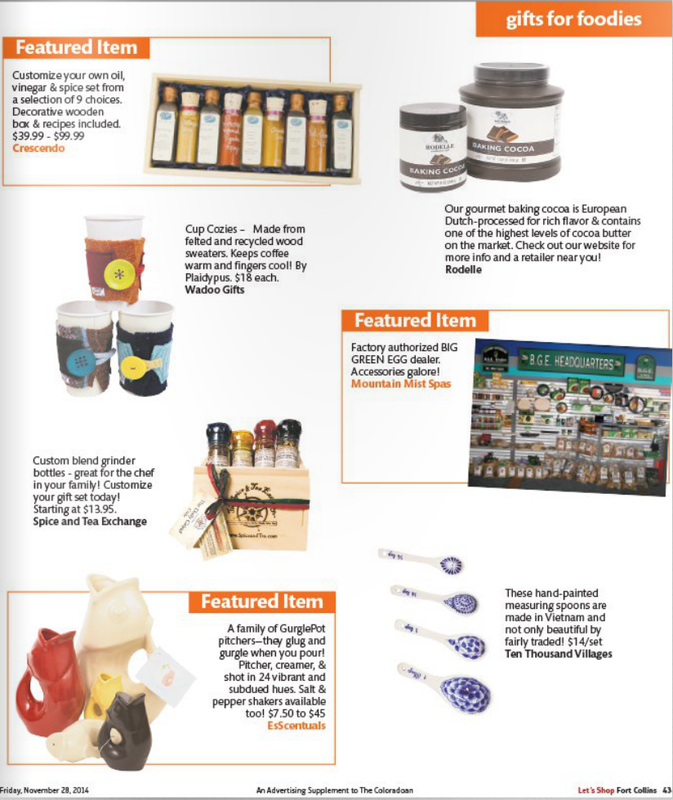 It’s full of gifts for him and gifts for her and gifts for food lovers and gifts for children and gifts for pets and gifts for pretty much every other person and for every reason you can think. I’m sure there’s a page in there that is dedicated to gifts for that one relative that you never talk to but feel the need to get them something they were nice to you as a kid. Anyway, this guide came out on Black Friday, and Plaidypus is in it! 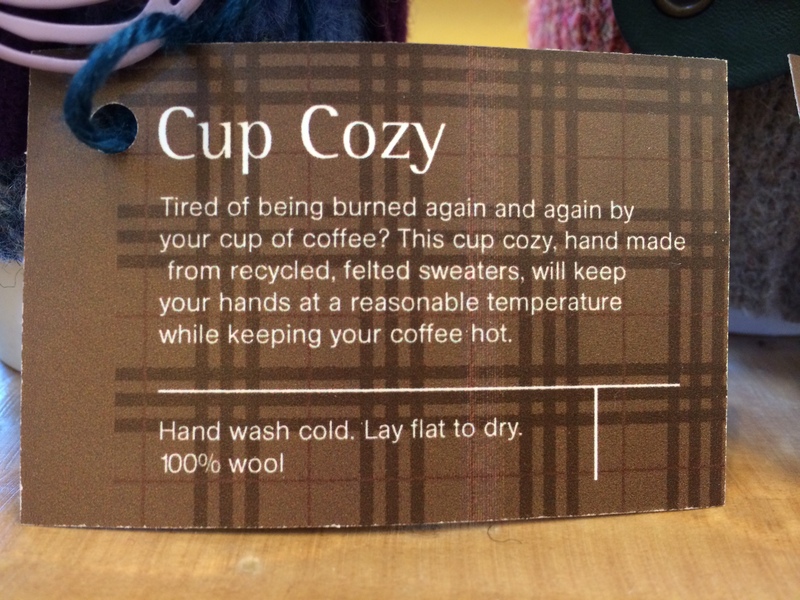 Sure, it claims I make felted wood cup cozies (which, in case you were wondering, isn’t a thing) rather than felted wool ones, but it wouldn’t be a true feature without a glaring typo (right?). And publicity is publicity, so I’m not complaining. 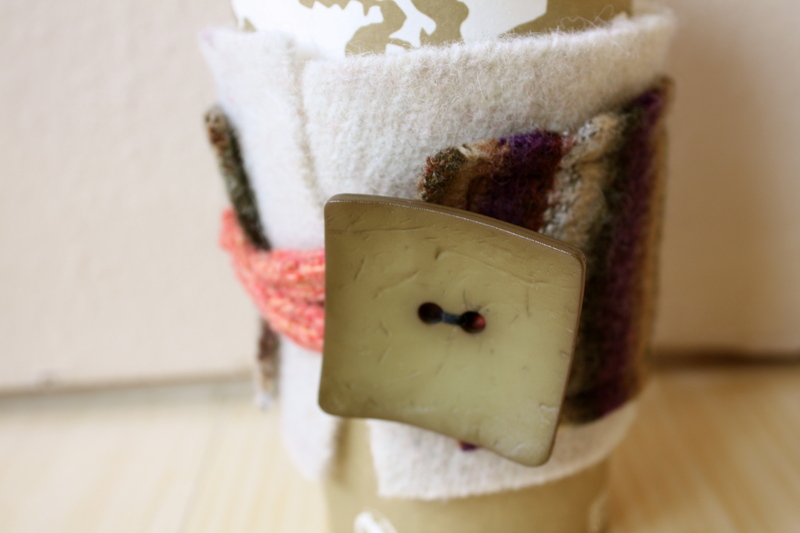 Here’s the bit of the page that is dedicated to our (now famous) felted wool (not wood) coffee cup cozies. That’s like a whole 1/8 of a page! Which doesn’t seem like much, but considering I didn’t have to pay anything for this opportunity and that an ad that size can cost a fortune, I’m pretty excited. So remember us this holiday season. 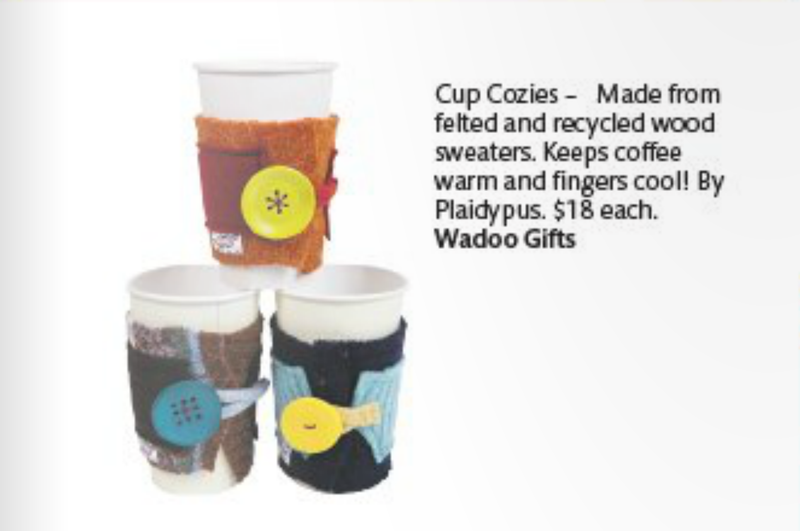 You can come get some coffee cup cozies, as well as many of our other products, at Wadoo or online at the Plaidypus store. We also still have one more fair for the year (next weekend! ), so keep your eyes peeled for that as well. I’ll post specifics soon on here. 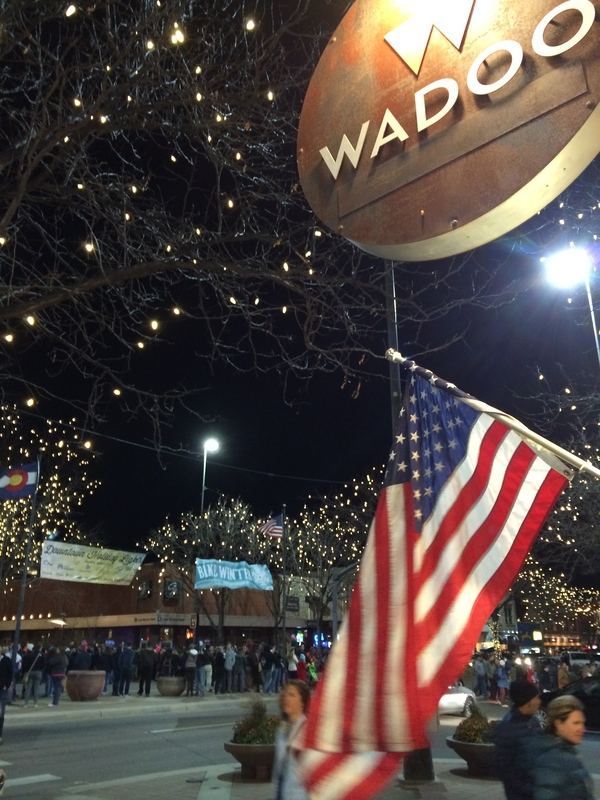 Wadoo is this cute family business (my family, to be more specific) in Fort Collins, CO, that houses hundreds of artists’ works, and has been Plaidypus’s biggest supporter. We send them hundreds of coffee cup cozies, hand warmers, and headbands every year. We also participate in their Holiday Trunk Show, an annual festivity filled with champagne, chocolates, and local artists, which just so happens to be coming up in a week. If you show, you’ll be treated to champagne and chocolates, as well as the opportunity to talk to and buy from local artists including myself, Alison Cope (felted garlands), Kimberly Orrell (sewn totes), Chris Reynolds (fabric baby accessories), Maura Jacobson (pottery), Heather Matthews (bike bands, cards, and advent calendars), and Leah Simmons Decapio (pottery and small tables). This is a particularly big deal that Leah will be here this year, as she lost her home and shop in the 2013 flood. But she and her husband have opened their studio again and will be here in Fort Collins to celebrate the holidays with us. Plaidypus will be there with our bestsellers, such as our fuzzy crocheted hand warmers, our felted coffee cup cozies, and our t-shirt headbands. 3. Purchase personal-care gift bags created by Windrift Hill and available at cost ($12) to be donated to residents of Crossroads Safehouse, or donate cash to Crossroads. The show allows you to come out and support local businesses, local artists, and local charities while getting yourself some chocolate and champagne. It was created simply for the joy of sharing festivities with customers and bonding over warm feelings and good art. Who doesn’t love that? So my friend moved away (which I still haven’t forgiven him for), and before he left he was coming over to say bye and I made him stay by promising cupcakes. These cupcakes, you see, were made of manipulation (and love, but he couldn’t see past the manipulation piece). He told me I baked with intentions too often and I decided to, well, tell the internet all about it. Which is kind of a weird reaction now that I think about it, but I figured there is someone out there who really wants to hear about how to use baking as a weapon (but, like, the good kind of weapon, not the kind that kills people. We don’t do that here. You’ll have to go down the street for that sort of thing). So these are, as my cookbook says, “Warm Spiced Apple Pie Cupcakes.” They’re more like muffins, but that may be something I did to make them more dense. Either way, these are fantastic. I didn’t get any photos of the ones I made, but I’ll take a picture of the pretty ones in the book because for once in my life what I baked looked like what was pictured. So I don’t feel bad doing that. 1. Preheat oven to 350. Like a 12 hole muffin pan with cupcake liners. 2. To make the topping, place the flour, cinnamon, nutmeg, cloves, butter, and superfine sugar in a large bowl and rub in with your fingertips until the mixture resembles fine breadcrumbs (this was my favorite part). Set this aside. 3. To make the cupcakes, beat together butter and brown sugar in a large bowl until it’s fluffy. Then gradually beat in the egg. Sift in flour, baking powder, and spices and fold into the mixture. Then fold in chopped apple and orange juice. 4. Spoon the batter into the cupcake liners. Add the topping to cover the top of each cupcake and press down gently. I suggest being very generous with the topping, because it’s delicious. 5. Bake for 30 minutes or until golden brown. These are sort of like tiny apple pie muffins. As someone who likes apple pie these are fantastic. Even if you don’t really like apple pie (which I can see as I didn’t really like pie for a long while), these are still pretty fantastic. And fun fact: you can use them to manipulate your friends to stay longer than they had planned. If you’ve got leftover topping, stay tuned and I’ll tell you how to use it for Snickerdoodle cookies (which is what I did, making my friend stay even longer as I baked a few dozen cookies, but that’s a story for next time).